To round off my New Zealand travel posts (see them all here!) and as it's my 9th post, I thought I'd put together my top 9 because I like to be unconventional. There is SO much more of New Zealand that I didn't see and the Kiwi Experience pass I was on only scratched the surface. 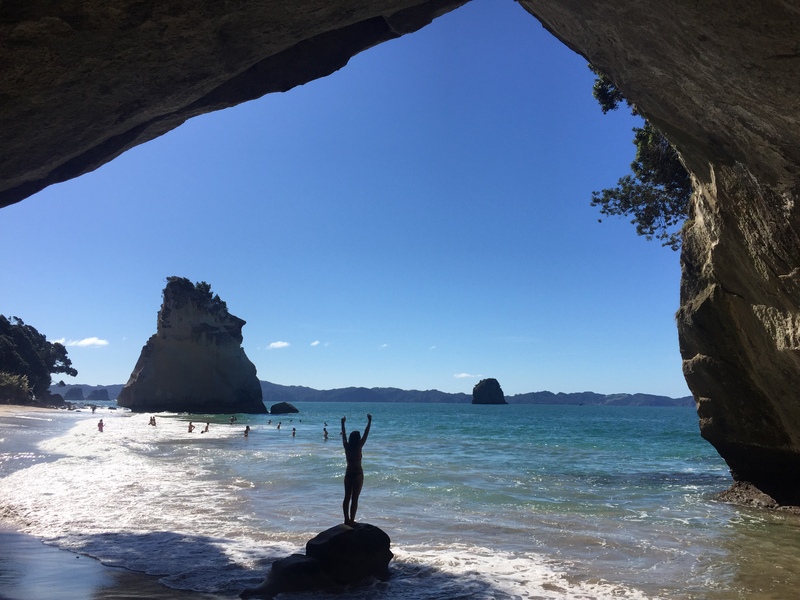 I would whole-heartedly recommend Kiwi Experience if you're heading to New Zealand for the first time and want to see the highlights. 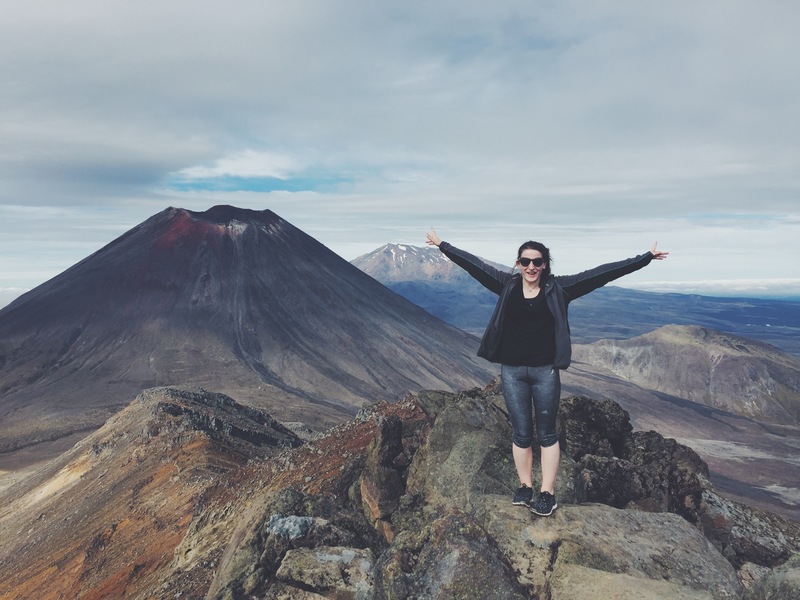 It was a great base for my first trip to New Zealand and I can't wait to get back there one day and see more - next on the agenda is to hire a camper van to explore it, maybe with a working holiday visa! A must-do to really understand more about the native Maori people and their traditions and staying overnight was worth every penny. Make sure to head over to this post to read a little more about it. My bank account had a yelp when I paid for this as I think it was nearly NZ$300 but it was undeniably worth every penny. There was a chance that we could have got stuck on the glacier over night as the weather had taken a turn but to be honest we thought that would actually be a lot of fun ha ha. Alas, we didn't but it was breathtaking all the same and unfortunately something that will only be around for another 15 years because global warming and all that so if you get the chance DO IT. See more here. Absolutely stunning and well worth only having 3 hours sleep - but maybe don't go out the night before if you want to really appreciate it (or suffer from motion sickness!). I wasn't even sure whether this was something I wanted to do before I got to New Zealand but the more people talked about it, the more incredible it sounded. The views were beautiful and everyone had such a real sense of achievement when they finished it. Make sure to check out this post for more pictures. Quite a few people I spoke to that did both the canyon swing and the bungy actually said the Canyon Swing was scarier - I'm not totally sure why but I'm guessing I'll have to go back and attempt a bungy at some point! I think the best part of this is that you can customise it to make it as scary as you want so I obviously chose the scariest and did it backwards - go hard or go home! Every night is party time in Queenstown. Not only that though, there are so many other things to do in the daytime including the gondola and lots of walks. It's the adrenaline capital of New Zealand so if you don't do something crazy like a canyon swing, why did you bother going?! Oh, and don't forget to get a Fergburger, they are as good as everyone says they are! Something I never thought 2017 would bring would be me getting on a plane to the other side of the world on my own. Sometimes things don't go exactly to plan and realised I couldn't sit around at my temp job forever and after talking myself in and out of it several hundred times I booked the plane tickets and there was no going back. It was honestly the best thing I've ever done and although I CANNOT WAIT to go to SE Asia with one of my best friends in a couple of months I'm glad I got to experience a part of the world under my own terms. This is definitely linked to the above as I don't think I would have made the same friends if I was travelling with someone else, there's no denying that people are slightly less open if they have a safety blanket of a friend already. I did feel like the clingiest person in the world at first, trying to be as chatty as possible, and it was super difficult when some people were on different travel schedules but by half way through I had made a solid group and it was SO amazing to share all the experiences with them. If anyone has any questions about New Zealand, the Kiwi Experience or just travelling in general please leave me a comment below or tweet me @kathandcake! Now I'm just waiting to win the lottery so I can do it all over again!